- Rey Mysterio had another knee surgery in his career as he is known for having multiple knee injuries and surgeries. This surgery this week turned out to be a success as he tweeted about it from his official Twitter page: Morning to all! 24hrs after surgery at home recouperating! Pain is insane! Going crazy.. Thx 4 the support! 619 luv! - There are conflicting reports going around as to who is playing the role of Sin Cara in WWE. The company has used both Luis Ignascio and Hunico under the hood at recent shows, however, there still appears to be enough heat on Ignascio where he could still possibly be released. Ignascio had "nuclear" backstage heat after his suspension last month and WWE put Hunico under the hood as his replacement. The role was going to be resumed by Ignascio after his suspension but now there appears to be a possibility Hunico could keep it. - The official WWE Games blog has posted new screenshots showcasing the improvements from Smackdown vs. Raw 2011 to the upcoming WWE &apos;12 video game. Click here to check out the new screenshots. - Michael McGillicutty caused a stir on Twitter when he ReTweeted a fan who wrote Joe Hennig > Michael McGillicutty, RT if you agree, the Hennig name should still be remembered!. McGillicutty clarified later with this Tweet:For everyone tweeting about my name: The Hennig name will be remembered no matter what my name is. You can read more Tweets from McGillicutty at this link. - I spoke with one of my sources earlier today about the Sin Cara situation and have learned more on the confusing story. The first thing that needs to be clarified is that the real Sin Cara, Luis Ignascio, is still with WWE and any report he has been released is unfounded. There was a plan going into the weekend to feud Ignascio with Hunico (who worked under the hood during Ignascio&apos;s suspension). The WWE creative team is in a state of confusion because at how many times the plans have changed. Vince McMahon is also keeping stuff regarding Sin Cara close to his sleeve, making the creative team unaware of the full details. One person joked that after the "nonsense" the Raw team went through with McMahon keeping them in the dark with the entire CM Punk/John Cena angle, now it&apos;s Smackdown&apos;s turn. The Smackdown creative team has changed plans for Sin Cara "over and over" as one day they&apos;re told to build the return of Ignascio as Sin Cara to feud with Hunico, the next day they&apos;re told Ignascio is coming back to be the only Sin Cara and the day after that they&apos;re told he isn&apos;t coming back and Hunico will be under the hood. In conclusion, no one knows the future of Sin Cara but those are the three plans being pitched behind-the-scenes. However, I can confirm as of this writing both Ignascio and Hunico are under WWE contract. - The Rock responded to a fan on Twitter recently, explaining why he came back to WWE and agreed to a match with John Cena at WrestleMania XXVIII. He also claims that he didn&apos;t return to be a champion again. The tweets are compiled below: a few years ago when Cena - inexplicably - started talking trash publicly, I knew then I could turn this into a massive main event. One that could elevate the WWE to unprecedented heights. The timing had to be right though. Wrestlemania 27: for me and the fans - the time was right. The build to Wrestlemania 28 will be like nothing the world has ever seen before. The match itself will be historic. I didn&apos;t come back to the WWE to become champion again. I came back for these reasons: entertain the fans like no-one else can. Elevate the WWE to new heights never seen before. Challenge and mentor some of the younger talent. Give the millions what they want which is to kick John Cena&apos;s f&apos;n a--. #RockTalk You can view more tweets from The Rock by clicking here. - WWE opens another account on Twitter to their long list of accounts on the social network. This one, in particular, is called "WWE Insider". It&apos;s described as: The official Twitter feed of the WWE Insider, the behind-the-scenes reporter for WWE.com and WWE Magazine, reporting LIVE from Monday Night Raw and PPV events. To check out the page and if you want to follow, go to WWEInsider. - Wrestling News World reader Danielle sent in the following: The Score here in Canada had a MAJOR foul up during the RAW broadcast. At the top of the hour, right after the Diva&apos;s match ended and the show was set to come back from commercial, they accidentally ran the beginning of Eastbound and Down. They ran enough of it for a good amount of bare breasts to be shown. They then cut to a random Steve Austin promo set to a George Straight song (probably his upcoming DVD), then cut that off to show the Raw censor warning. After that it seemed to go back to where it should have been with the Alex Riley video package. The Score shows Raw with a 15 minute tape delay presumably for edits, so as I said, major foul up. So much for the PG era. - I&apos;m told USA Network officials were upset at WWE for the Subway segment they did with Jared and The Miz on the August 15th WWE Raw. Subway paid for the segment and the USA Network obviously didn&apos;t get any of the money so they were upset and warned WWE they do not want segments like that on the show. - Triple H is advertised to return to the ring on next Monday&apos;s Labor Day edition of WWE Raw. This will be his first in-ring action since his Wrestlemania XXVII match against The Undertaker earlier this year. - WWE continues to feed speculation about an nWo return with an article on their official website. If anything else, it&apos;s a fun trip down memory road. You can check out their coverage at this link. - Wrestling News World reader Dave Laiosa sent in the following: Dwayne "The Rock" Johnson is in talks to play Goliath in an upcoming film based on the Biblical story of David And Goliath. Taylor Lautner is rumored to play opposite Johnson as David. The film is expect to focus on "David as the future King of Israel, who goes on the run as the warrior Goliath has been sent to kill him." Click here to read more. - Dolph Ziggler injured his neck Monday night during his match against World Heavyweight Champion Randy Orton on WWE Raw. While the severity of the injury is unknown, Ziggler underwent treatment on it yesterday. - Believe it or not, WWE officials have actually a change of heart about Kevin Nash wrestling - at least for right now. The original plan was for Nash to face CM Punk at WWE Night of Champions later this month but the match was changed to Punk vs. Triple H. At this point I can only offer speculation as to why company officials had a change of heart but one thing going around is Nash is not cleared to compete. - Santino Marella has suffered a separated left shoulder after an automobile accident in Toronto, Ontario, Canada on Thursday night, WWEhas confirmed. Marella&apos;s car was flipped sideways after being hit by a another car. The airbags deployed and Santino exited the car through the sunroof. WWE reports he will not be at Raw on Monday and he&apos;s obviously off this weekend&apos;s house shows. - THQ has announced that WWE All Stars will be available for the Nintendo 3DS handheld system on November 22. The game is already available on Xbox 360, Wii, PS2, PS3, & PSP. Click here for screenshots and more information. - Hulk Hogan recently took part in an interview with GoTriad. In the article he talks candidly about how he nearly committed suicide a few years ago, his faith, as well as his analysis of Impact Wrestling and more. Hogan said the following about how Impact Wrestling differs from WWE: We&apos;ve got a lot of young guys who are pushing hard. And we&apos;re trying to take our own course of destiny and make wrestling matter again. We&apos;re not really focused on skits and entertainment and backstage antics. We&apos;re more focused on keeping the action as much as we can in the ring. "Click here to view the full article. - James Storm wrote on his Twitter page earlier today that he is suffering from an injury that could make him be out of action for almost two months! His tweet stated: "Confirmed today that the cowboy has a partial separation in my shoulder which occured during the M.A match 2 weeks ago. Been working through the pain hoping it would just go away but just to much to bear. Have to take it easy or could be out 4-6 weeks. D--- my luck." To see James&apos; official page, click here. 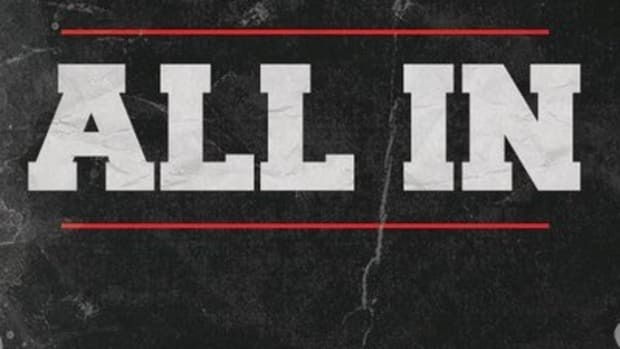 - Impact Wrestling posted the following on their official Facebook page:Update: IMPACT WRESTLING officials received results this morning from doctors regarding Crimson&apos;s injury by Samoa Joe: A severe Hairline Fracture of his ankle. The good news is that it is a "non-operative injury" (ie, he won&apos;t need surgery). The bad news is that Crimson will be forced to wear a fiberglass cast and use crutches due to the swelling. Tune into Thursday&apos;s IMPACT WRESTLING on SpikeTV at 9/8c for another update on Crimson, as well as his status in the Bound For Glory Series From what I understand this is 100% kayfabe. - About two months ago, TNA/Impact Wrestling star, Matt Morgan sustained a torn pectoral muscle. While he was recovering, he was still on television as he would be guest commentator for a match or two each week. Well, Matt wrote on his official Twitter page that he is 100%: "First REAL chest workout now in gym. Rehabs been great,pec is reattached& im 100% cleared! Hardwork DOES payoff(those 3 a days=worth it!)" - TNA/Impact Wrestling star, Rosita, will be appearing on a NBC special that will air September 5th. TNA/Impact Wrestling&apos;s official Twitter stated the following: "This Monday, NBC airs the "Children of 9/11" special, which includes Rosita, who lost her father that day. We hope our fans will tune in." - TNA has announced a November 5th house show at the SeaGate Convention Center in Toledo, Ohio. - Impact Wrestling has announced the matches for this weekend&apos;s house shows in Ohio and Virginia. You can check them out at this link. - A lot of people are wondering why TNA fired Matt Hardy yet is bringing Jeff Hardy back to television next week. I&apos;m told to shed some light on Dixie Carter&apos;s mentality with the Hardy Boyz, one thing people have to understand is the majority of the TNA higher-ups are born-again Christians and very big on forgiveness. There is a strong religious influence in how things are handled by Dixie, Vince Russo and others. While both Matt and Jeff were suspended, Jeff had been very remorseful since the debacle at Victory Road in March while Matt was more in "denial" and "insistent" that he hadn&apos;t done anything that warranted a suspension. While many have been highly critical of TNA bringing back Jeff, the mentality amongst those in charge is influenced by the idea that Jeff was sorry for his mistakes while Matt refused to own up. It is tricky as both Matt and Jeff have been asked to go to rehab and both refused. The difference, however, was that while Jeff insisted he would overcome his problems, was sorry and wanted to come back - Matt would insist there was no problem to begin with. One of my sources indicated to me the major difference in the way Vince McMahon and Dixie Carter hire and fire talent in their respective companies is because of Carter&apos;s religious beliefs. Dixie puts her beliefs in front of what is always "better for business" and decided to forgive Jeff. It&apos;s not that TNA officials are oblivious to the fact that Jeff is a risk but Dixie wants to give him another chance because of his remorse and desire to be forgiven. - Kurt Angle wrote the following on Twitter:I have never been More Insulted By Wwe top 50.#34 to Me Is a kick to the balls!Take Me out of ratings.please.U think fans will buy that crap... Shawn Michaels Deserves #1. He has Been Putting On Awesome Matches for Well Over 20something Years. I Will Not Complain. It is What It Is!!! You can read more Tweets from Angle at this link. - I found out an interesting note regarding Cookie&apos;s release from Impact Wrestling and the new alliance of Robbie E and Rob Terry. It was not long ago when there was heat on Robbie E and the office was looking to release him. Cookie was told by company officials she would be the one teamed with Rob Terry when Robbie E was released. Fast forward a few months and it&apos;s Cookie that gets released and Robbie E paired with Rob Terry. - Impact Wrestling has been advertising a new website that will follow Kurt Angle&apos;s journey back to the Olympics next year. The website features photos, videos, Angle&apos;s Twitter feed and more. You can check it out at http://www.kurtangle2012.com/. - Mickie James beat Winter at the Impact Wrestling taping that aired tonight to win the Knockout Championship. This is Mickie&apos;s second reign as champion. You can view full results of the show at this link. What kind of rating do you expect the Super Smackdown to get? I expect a moderate jump from what the show normally does due to the fact it&apos;s on a more-watched night (Tuesday) and is going to be live. WWE did a live Smackdown special last December that aired on the USA Network on a Tuesday night and it did a 2.2 cable rating with an average viewing audience of 3,812,000 viewers on the USA Network. The 8/19 Smackdown and the week before that did a 1.83 cable rating with an average viewing audience of 2,900,000 viewers on SyFy. Why is there so much heat on the original Sin Cara? I have been thoroughly covering the backstage heat of Sin Cara in our Backstage News section exclusive to WrestlingNewsWorld.com Premium Members. However, the gist of it is he failed a WWE Wellness Policy test but promised company officials he had a prescription for what caused the positive test. Cara ended up never producing the prescription despite Triple H going to bat for him backstage. This made Hunter look silly and put the company in a bad position with a character already drawing. Add this to the fact that WWE officials have been disappointed with his in-ring work and you have the situation you do where WWE doesn&apos;t know who the real Sin Cara is going to be. The Rock is now an actor but is receiving tremendous build for his match against John Cena at Wrestlemania XXVIII next year. What will happen after their Wrestlemania match next year? WWE is subtly building towards The Rock vs. John Cena at Wrestlemania XXVIII throughout the year as it&apos;s already one of the most highly-anticipated matches of all-time. WWE officials were very impressed with how quickly travel packages for the show sold out and expect the same thing to happen with show tickets. Pay-per-view buys are also expected to exceed the one million mark. The Rock is scheduled to appear at WWE pay-per-views leading up to Wrestlemania culminating with the main event match next year in Miami. However, there are no plans as of this writing for The Rock to return to pro wrestling. He is an actor that has agreed to come in and work a match but is not returning to his role as a full-time wrestler. I&apos;m aware the WWE higher-ups are incredibly high on John Cena, especially due to the amount of merchandise his character moves, but isn&apos;t it getting a bit predictable that John&apos;s going to be in the WWE Championship match just about every pay-per-view? The John Cena character is deemed untouchable because of how much merchandise he moves. It doesn&apos;t matter what color WWE makes the Cena gear, it sales very well. They also want to keep him hot for the match at Wrestlemania against The Rock I talked about above. I agree the John Cena character has grown stale and can see the comparisons to calling him a modern day Hulk Hogan. Turning Cena heel has great potential but I fear it&apos;s very risky leading into Wrestlemania. Do you think it is a mistake to have Triple H vs. CM Punk this soon? I have been out of town and only caught the very end of WWE Raw but I immediately said "oh no, I hope they aren&apos;t shot gunning this for Night of Champions." Sure enough, that looks to be exactly what they are doing. Triple H vs. CM Punk is a match that needs to receive a lot of build and I do feel it is a mistake to do it at Night of Champions. Perhaps WWE officials are doubtful if they can keep the angle hot until Survivor Series. If John Cena asked to be turned heel do you think he would get it? I think he&apos;s beginning to get tired of being a babyface. You know how WWE officials are reluctant to touch the John Cena character because of how much merchandise it moves? Cena is profiting off that as well so I am sure he doesn&apos;t want to do anything that would jeopardize his income either. WWE and Cena are both making bank off his current character which is why it is the way it is. With that being said Cena does have creative input and stroke backstage. Has it been made clear if Goldberg is returning to WWE or TNA? Bill Goldberg is returning to the ring next month for a charity event in Africa. Brooks Oglesby covered the story while I was gone as you can read it at this link. As for Goldberg ever returning to WWE or TNA, both companies would like to have him but it comes down to him not wanting to work the full WWE schedule and the amount of money it would take to sign him. In short, Goldberg wants a lot of money for a little bit of work and you really cannot blame him. If he doesn&apos;t need the money then why risk a situation his legacy could be damaged when he is financially secure? Are you a fan of WWE video games? WWE and THQ do a great job in producing quality video games. I have played the Raw vs. Smackdown series on and off and played the Legends of Wrestlemania game they released in 2009. I am not a diehard gamer due to a lack of spare time; however, the games are well done and very realistic. Why does WWE dim the lights and shine the gold and blue during Sin Cara&apos;s matches? The more you are paying attention to the lights, the less you are paying attention to the botched spots. In all seriousness, WWE is trying something new during the matches of Sin Cara to stress he is "different" and more "important." The entire idea behind the Sin Cara character is to have him as Rey Mysterio&apos;s replacement and the company is already happy with how over the character has gotten. I thought the WWE did a great job with their live Smackdown. Do you think they should start broadcasting it live all the time? I believe it would help the ratings and I know I would be more inclined to watch it. Live television is more entertaining to watch than taped television in any situation. However, I feel the way to make it work would be to move Smackdown to Tuesday night permanently so they are able to tape consecutively. The biggest stress would be on the creative team as Smackdown is considered the "laid back" brand because it isn&apos;t as chaotic before the show because segments can be re-taped and things can be fixed in post-production. 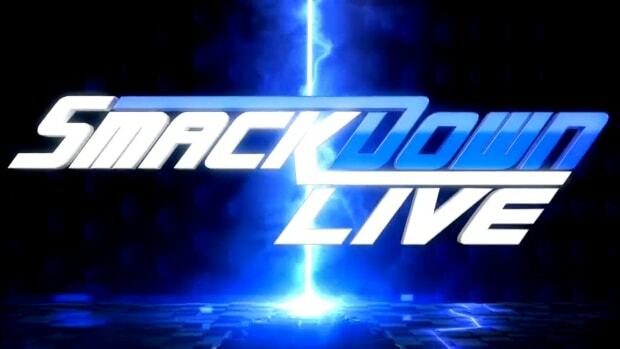 On the flip side, I would not like getting all of my WWE programming on Monday and Tuesday then nothing for the remainder of the week and if I had to pick a night for Smackdown to air, it would be back to Thursday night. I remember a little while ago you reporting that WWE signed Averno to feud with Sin Cara, whatever happened to him? Averno has signed a WWE contract but is finishing up his dates in Mexico before heading to the United States. I&apos;m sure he also has to sort out issues with a work visa but as far as I know he is still under WWE contract. I know it&apos;s early but what is your gut reaction to Matt Hardy&apos;s online "suicide note?" Putting a suicide note on your YouTube account viewed by thousands of people could only mean one thing - you are desperately seeking attention. The old adage is that the only bad press is no press but I can&apos;t imagine why Matt Hardy would consider this to be a good thing. I personally feel it is irresponsible and further drives Matt into irrelevance. With CM Punk still with the WWE after so much speculation, are there any new details on his contract status? Is it up in September, or has a new deal been reached? CM Punk agreed to a new WWE contract in July. While I still believe Punk&apos;s original contract wasn&apos;t up until this month, he was extended in July. I do not know the terms of his deal but I would assume it&apos;s a multi-year deal to keep him with the company. I know Wrestlemania XXVIII is still months away, but if part of a long-term plan is to have Daniel Bryan cash in his Money in the Bank title shot on that date then don&apos;t you think he should soon start winning on a more consistent basis? I do not like the number of jobs Daniel Bryan has done lately because he is a Money in the Bank winner. As for Daniel Bryan waiting until Wrestlemania to "cash in," I don&apos;t know if it was just me but I felt like as soon as he announced it that he would never make it that long. Perhaps WWE is having him lose only to make it more of a surprise when he "cashes in," however, I do not like the number of jobs he has done. Is there a reason why WWE decided to do Super Smackdown Live instead of just airing it on Friday? WWE tapes every Tuesday night so it made it easy to air the live special on Tuesday. WWE tapes Monday and Tuesday because it is easier and more cost effective to tape consecutively than take breaks in the middle of the week. Do you think The Rock will wrestle before his match against John Cena at Wrestlemania XXVIII? Ring rust must be a factor that they have to consider given his long time away? I would be against The Rock wrestling before Wrestlemania in front of a live audience, on TV or pay-per-view. He will obviously need to get in the ring in private to shake off some ring rust but I feel it would cheapen one of the biggest matches of all-time for him to compete beforehand. However, Vince McMahon has already said The Rock will appear on pay-per-views leading up to Wrestlemania but did not give specifics. Why doesn&apos;t Bill Goldberg let it go? His "character" consisted of a 5 minute walk to the ring followed by a 30 second squash match, one of the worst "sellers" of opponents moves ever, sloppy ring work (Bret Hart kick to the head ?) and a love of the paycheck more than the business. I am assuming this question has to do with Goldberg&apos;s recent comments where he said he doesn&apos;t have anything positive to say about Vince McMahon. Goldberg&apos;s attitude isn&apos;t just him, there are a lot of people that have beef with Vince McMahon but you don&apos;t hear a lot of it because no one wants to hurt their status with WWE. Goldberg doesn&apos;t care to speak his mind because he is financially secure and doesn&apos;t have to worry about WWE. With that being said, WWE still reached out to him about Wrestlemania this year in Atlanta. As for the overall opinion of Goldberg&apos;s character, he is actually well-respected in many circles although Bret Hart paid big for his inexperience. Impact Wrestling seemed to have a "big game" feel to it this week because of being staged in a larger arena. Even the mat had a more distinct sound to it when hit. Are there plans to tape more outside Universal Studios? TNA will tape Impact Wrestling in Knoxville, Tennessee on September 21st and in Macon, Georgia on October 26th. You can read the updated taping schedule at this link. When is Kane and Big Show supposed to return? Kane and Big Show are currently out with requested time off. I haven&apos;t heard any update lately but I reported in July that Show was expected to be out longer than Kane. Do you know when Samoa Joe&apos;s TNA contract expires? Samoa Joe&apos;s current TNA contract expires in December 2012. Steve Austin made comments on Twitter a couple weeks ago that WWE should sign Joe when his TNA contract was up but remember Joe just re-signed with TNA last December.